Modeled after the cards of solitaire, but not the gameplay, you are essentially tasked with clearing a deck of 54 cards. On the first round, the slightly bipolar monster you play against draws 4 cards onto the table, to get to the next round, you have to clear 3 of the 4 cards. 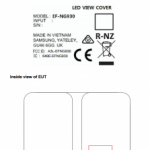 Once you do, another set of 3 cards are drawn and the process is repeated. To help in this quest, you are allotted 3 slots, two for equipment and one backpack as storage, as well as your avatar/character card that has its own health rating. 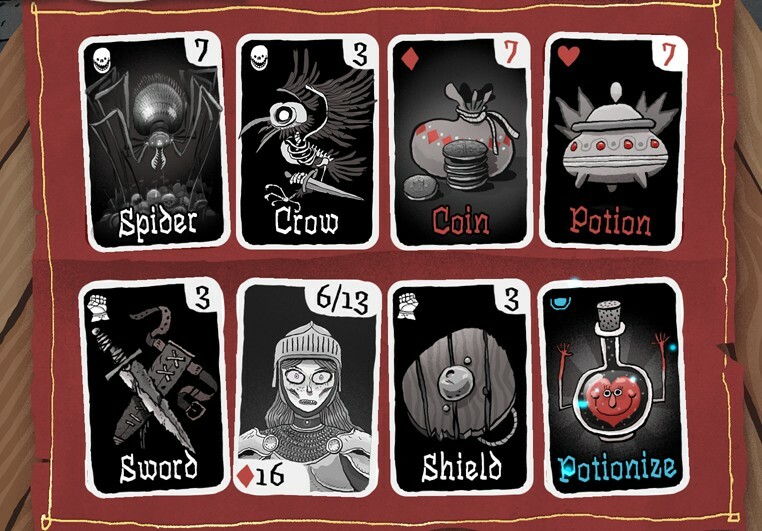 As the cards are drawn each round, shields, weapons, potions and coins will appear, and it will be up to you how to use those cards most efficiently to clear the deck. For example, you might want to keep a high-health potion as back-up in your backpack, while you equip a sword and shield to take on the monster cards. What’s great about Card Crawl is that while it does have strategy involved, it’s pretty simple and easy for casual gamers to grasp. Most of the strategy can be broken down into simple maths, such as having a monster with 9 health take 7 sword damage, leaving it with 2, after which the player can take that 2 damage to their health so that they don’t waste another card. It may sound a little complicated, but a few games in and everybody should be able to grasp the strategic concept of the game. Of course, it’s not all deck clearing, there’s also other modes and things you can do. One of the first challenges is unlocking special cards in your collection by beating normal mode a certain amount of times, or even buying cards with the coins you’ve collected in normal play. Once you do that, you unlock the Delve mode which is similar to a survivor mode, where you play one match after the other, each one increasing in difficulty. 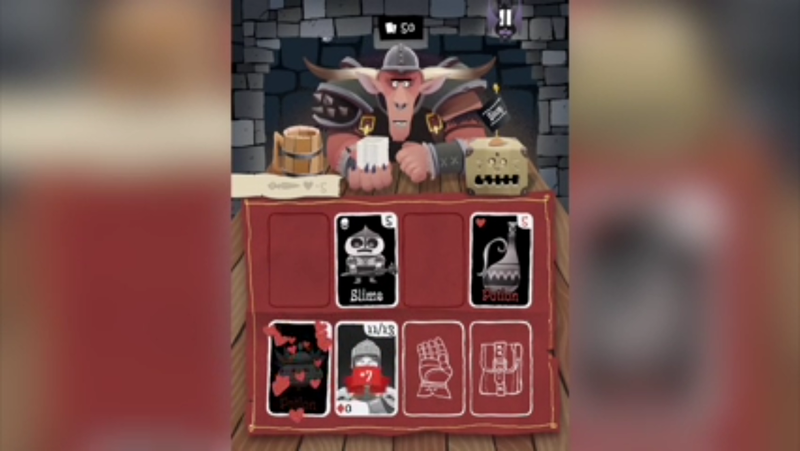 There’s also a daily dungeon that has its own unique high scores and requirements to beat, as well as ‘constructed’ mode, which allows you to choose up to 5 special cards and battle it out with the game. Access to all these mode allows you to complete quests which open up new avatar/characters for you to play with. 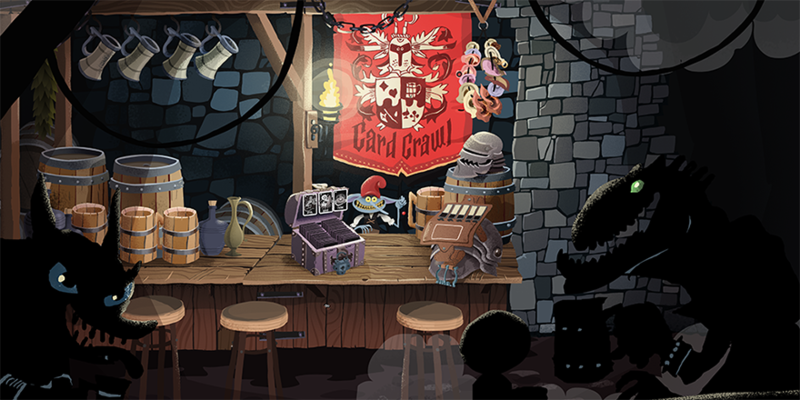 The great thing here is that once you get used to the card building and strategic aspects of Card Crawl, you can begin challenging your friends and getting trophies for defeating them. All in all, there’s quite a lot to do actually. Moving on from the gameplay, the graphics are really great. Given that this is game is a Crawl, the graphics follow a very dungeon crawly aesthetic, with a serious yet not so serious tone. The art for the monster card can depict a troll covered in blood from eating, but the troll itself is depicted in a child-like manor, so this game is pretty safe for older kids. The animations, while short, are also fun and add to the atmosphere. The game actually takes places in some kind of tavern, and you are playing against a non-human opponent, and the game does a good but subtle job of making you feel as if you’re playing in a bar, rather than at home or on the bus. Since it’s all drawn, there’s a lot of freedom for creativity, and the developers Tinytouchtales have taken advantage of that and made a really fund and cute game. Of course, I should mention that there’s no story to speak of, but that’s to be expected for a mobile game. So what’s the final verdict? 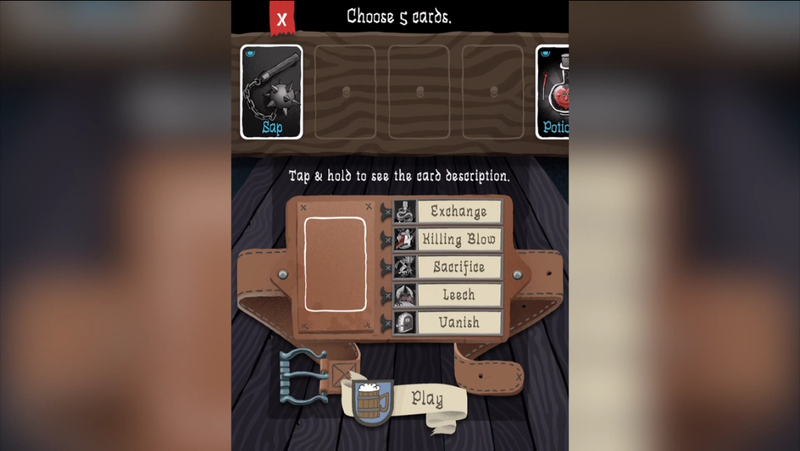 Well, Card Crawl is a fun little casual card game that is easy to grasp but hard to master. It has several challenges and things to unlock, and the graphic style and atmosphere are all sure to have you coming back. If you’re looking for a game to brush of a few minutes here and there in the day, without feeling any pressure to constantly come back to progress, then this is the perfect game for you. What do you think of Card Crawl? Let us know in the comments.